Use the smaller seam brush to work Leder Gris into stiched seams. 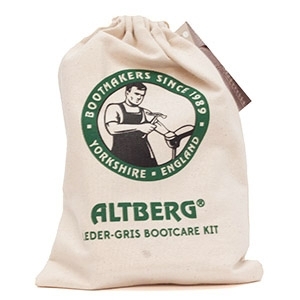 The larger brush is used to apply Leder Gris all over the boot surface. 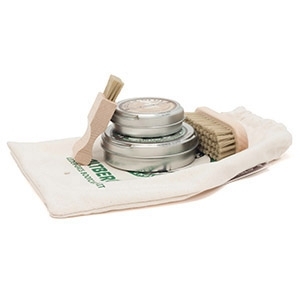 After application of Leder Gris, use the larger brush to buff vigorously to drive the Leder Gris into the leather for maximum absorption and effectiveness.